The Performance Titanium Group specializes in distributing titanium to its customers on time, at a competitive price with AS 9100-certified quality. 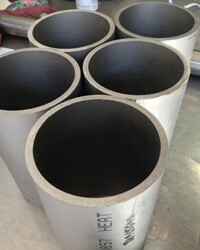 PTG will cut your titanium order to size at no charge. 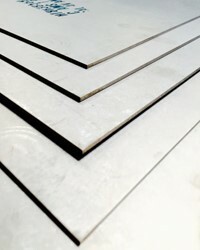 Performance Titanium Group distributes rod and round bar titanium, forged or rolled rectangles or blocks and titanium plates and sheets, according to PTG's website. "We stock titanium so you don't have to," is PTG's motto. "We earn your loyalty through our prompt responses, quick lead times, and ongoing customer support," PTG wrote on its website. It provides titanium to numerous industries including aerospace, oil & gas, defense, automotive, medical and recreational. Performance Titanium Group (www.performancetitanium.com) lists its customer benefits as making accurate cuts, on-time delivery, protective packaging, fast and responsive, a friendly sales force, competitive pricing and a knowledgeable and resourceful staff. PTG is a certified aerospace provider with AS 9100C certification as well as ISO 9001-2008 certification. Among the additional services offered by Performance Titanium Group are grinding and turning, trepanning, water jet cutting, heat treatment, straightening and ultrasonic inspection, among others, the company said on its website. PTG offers to quote your job for these value-added services, to recommend other vendors for these services from its preferred vendors list, or to drop ship your material to the third-party vendor of your choice to complete processing. "Many of our customers are surprised to learn that PTG does not charge a cutting fee - ask us to quote your cut-to-size titanium requirements to see if this would be beneficial to you," PTG wrote on its website. The company went on to explain this option lets PTG manage its inventory to achieve the best possible yield. It has no minimum order requirement, the no cutting fee and no packaging charge. "All titanium sold by Performance Titanium Group is shipped with mill test reports or full manufacturing and testing certifications to ensure traceability and specification performance," PTG wrote on its website. The AS 9100C standard was developed by the International Aerospace Quality Group to standardize the quality management requirements of the aerospace industry supply chain. The quality standard establishes requirements for airworthiness, safety, product conformity, and reliability. "We follow a secret* recipe to keep customers satisfied and stress-free," the company says on its website. It then reveals the secret a bit farther on. "Psssst! Want to know the secret? Keep promises. Commit yourself to customer satisfaction. Ship a quality product. Be nice! Don't forget to have fun."